The environment for business and entrepreneurial activities has fundamentally changed. Senior management of internationally active companies, in particular the owners and CEOs, are faced with dramatic changes in entrepreneurial risk. … have created a complexity that is hard to manage. Business decisions are typically based on incomplete facts. However, insecurity is increasing when more and more information is missing and when it becomes increasingly difficult to anticipate the consequences of a decision. Intense time pressure and dwindling resources exacerbate long-term planning. The increasing speed and amount of pressing decisions weakens the ability of decision makers to live up to the challenge. … are becoming increasingly important. Excessive regulation, the sometimes aggressive expectations of stakeholders, compliance risks, changes in the culture of debate & dispute reso­lu­tion, and the decreasing pre­dict­abil­ity of court decisions make “law” a growing risk. Legal risks are no longer a by-product of doing busi­ness – now they have become a constant concern of top executives. These factors also have an effect on communication within a company. Employees find it harder to speak openly with their superiors and to voice their doubts. They increasingly anticipate decisions their superiors want them to make, and at every level they often follow the opinions and views of their peers (groupthink). The result: Important issues are ignored and decisions are not double-checked. Add a lack of trustful collaboration at board-level and you have a situation that puts the future of the business at risk. There are experts for each and every aspect, but also an apparent lack of ability to bring things together and develop lasting solutions for the large legal and reputational risks. Often ignored are the opportunities and chances innate to almost all crisis situations. 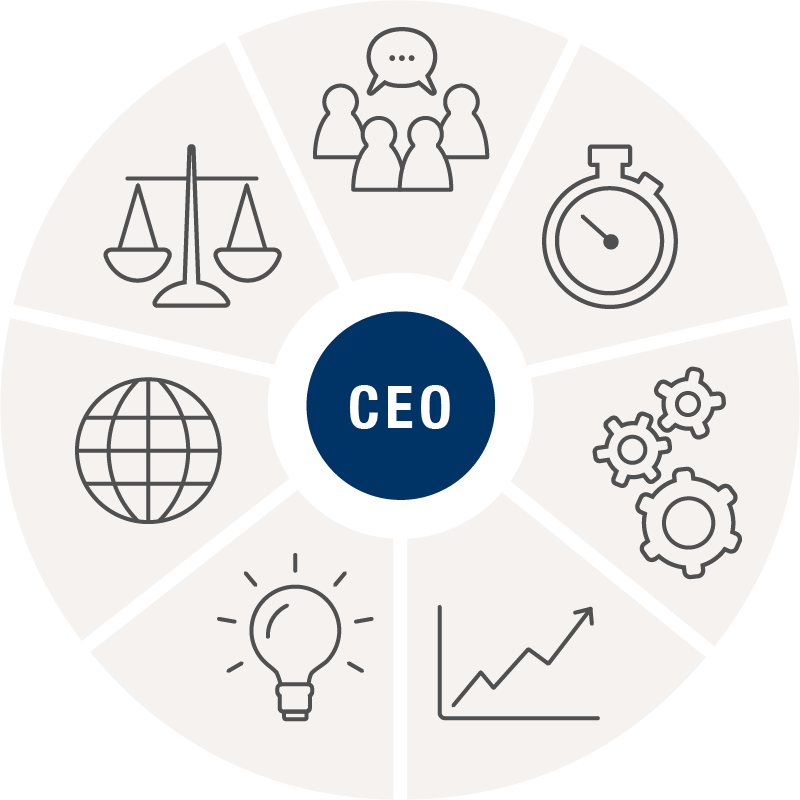 The CEO, carrying the ultimate responsibility, is frequently on his own. What he or she needs, but rarely has, is an experienced and absolutely loyal sparring partner who, being able to take a fresh look at things, opens new perspectives and gives fresh impetus to the subject at hand. A partner who is also able to under­stand the non-legal aspects and personal facets of the situation.